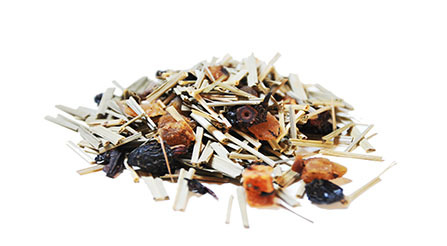 Our Lemongrass Berries is Tea Blend No.08 which is a blend of Thailand invigorating Lemongrass and mix Europeran Berries. It is such a refreshing drink especially in summer when this blend is brewed and added with ice. Aromatic lemongrass which you may smell when it is brewed instantly and the tingling sourness of dried berries when you drink it. It is said that when we feel hot, tea will cool you; when you feel cold, tea will warm you. Therefore it is a perfect tea as well when you feel unwell.